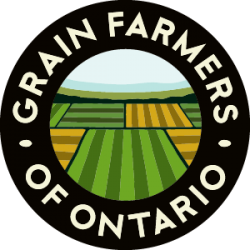 GUELPH, ON (March 1, 2017) – Grain Farmers of Ontario would like to congratulate Donald Sanderson from Puslinch, Ontario for winning the second March Classic Early Bird draw. Donald has won a Good in Every Grain Soft Shell Jacket. 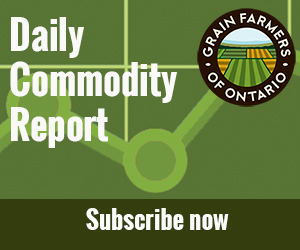 The March Classic is the largest grain-focused conference in Eastern Canada drawing upwards of 700 attendees from farms across Ontario, government, and industry. Speakers include General Rick Hillier, David Frum, Jolene Brown and Terry O’Reilly. Entertainment for the evening will feature Canadian comedian and actor Jonny Harris. Back by popular demand, there will be a reception at the DoubleTree by Hilton hotel Monday, March 20th, from 7-9pm where pre-registered attendees will be able to skip the line at the conference and pick-up their name badges and meal tickets. The 2017 March Classic will be held on March 21st at the London Convention Centre in London, Ontario. For more information and to register, visit www.gfo.ca/marchclassic.